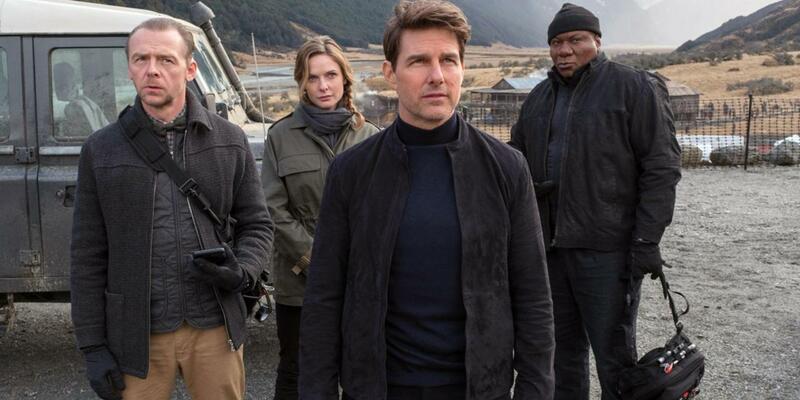 The movie Mission: Impossible Fallout is a really good action pack movie with Tom Cruise as Ethan Hunt,Ving Rhames as Luther Stickell and Simon Pegg as Benji Dunn. The storyline is good. It is about a terrorist organisation called the Apostles building three nuclear bombs and Ethan Hunt has to get the three plutonium cores before the Apostles get their hands in it. However, in Berlin Ethan fails to get the cores. Ethan and his team go to hunt them down. They manage to get one of the three plutonium cores that were taken by the Apostles. The other two cores got turned into bombs by the Apostles endangering the world. Ethan and his team go on a hunt to find and defuse the bombs. The part I enjoyed most was the fight at the end of the movie where they are at a medical camp in Kashmir where Lane has put the two remaining bombs to try and contaminate the Siachen Glacier where Pakistan, India and China get their water supply. They manage to find one of the bombs on a mast in the camp and after a while they find the other one in a house in the camp. While all that is happening, Ethan is chasing walker (who betrayed Ethan and his team while trying to find the bombs) who has the detonator in a helicopter over the mountain range there. Ethan uses his helicopter to ram Walkers and crash and have a fight over the cliff edge and walker gets killed. Ethan secures the detonator meaning Luther, Lisa and Benji can deactivate the bombs and save the day. All in all, it was a great movie.